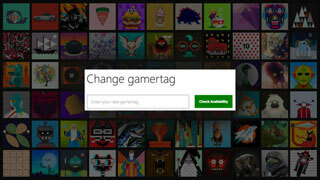 With one million dormant Xbox Live Gamertags being released, you might be able to get the handle you always wanted. As any online gamer will tell you, choosing your handle is one of the most important things you'll do. It's the name that people will know you by, and if you choose poorly, it can haunt you for years, especially if the service in question doesn't allow name changes (Looking at you, PSN). If the handle you always wanted on Xbox Live was already taken when you created your account, you might get another shot at it tomorrow. In an announcement on his site, Larry Hryb (Xbox Live's Major Nelson) said that the Gamertags in question are those that were created for the original Xbox, and were never migrated to Xbox 360. As we all know, it's common practice for users to flock to a new system and create their handles, even if they aren't planning on using the service. It sounds like the names Microsoft is releasing will be some of those. While Microsoft isn't going to post a list of the tags they're releasing, they are telling us what categories these tags fall under. Major Nelson writes that the list includes proper names, pop culture references (entertainment, sports, gaming), types of food, geography and rravel, science and technology, math and numbers, animals, and some of the greatest inventions of all time. The tags will be released over a 24 hour period, which Major Nelson says will, "give our fans in various countries an equal chance to get one." To qualify to get one of these Gamertags, you need to have an active Xbox Live Gold Subsription and at least one year of cumulative subscription time. To get one, qualified users can use Xbox.com or the Xbox app for Windows 10. Xbox One owners can also access these tags from their consoles, but 360 owners cannot. These Gamertags will begin being made available at 2 PM ET tomorrow, May 18, 2016. If you're searching for a certain Gamertag, good luck!